Workplace Pensions are with us and here to stay! If you are struggling to set them up, read on. We can help. Workplace Pensions are intended as a way for employees to increase the size of their pension, over and above their basic state pension, by paying into a Workplace Pension Scheme set by their employer. You, the employer have to pay in too, and so does the Government (through tax relief). Employees do not have to pay into a Workplace Pension – they can opt-out from doing so – but as an employer you have to enrol those employees who fit the above criteria in a Workplace Pension Scheme (even those who go on to opt out), which is why this is called Automatic Enrolment. One thing is for certain, and that is there will be plenty of work for you to do to prepare for your own company’s Workplace Pension Scheme. Remember that this is Pensions – so nothing is as straightforward as it should be! That’s where we, at JLP, come in. We know that many companies, particularly small companies, do not have the in-house resource and expertise to ensure that all that needs to happen with Workplace Pension Schemes happens on time and is done correctly. At JLP our Workplace Pensions team (part of our Human Resources Department) is here to take the strain for you and help you all along the way. 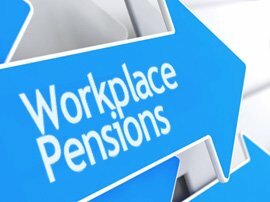 How can JLP help with your Workplace Pension Scheme? We will build a programme for the entire process, including recommending a Pension Provider. The programme building, and all the things you need to do, is listed below, and starts off with us checking the staging date for the commencement of your company’s Workplace Pension. The Pensions Regulator recommends that every employer should factor in a ‘run-in’ period of 12 to 18 months before their scheme implementation date. This may seem excessive but experience tells us that whilst 18 months is good practice, periods of less than 12 months can easily become problematic. You will see that there is a lot to do, so make early contact with us and with your Company’s existing professional advisers to help you sort it out! Click on the links below to see the stages that need to be gone through.